December 3, 2013 By Paula 35 Comments This post may contain affiliate links. We’ve been in this business for a long time now…I guess you could call 10 years a long time…and as a result, we have built up a whole lot of ‘stuff’ that needs sorting out. When I say ‘stuff’ I mean websites. We just have too many of them and then there are the domain names – we probably have about 100 of them…most doing nothing but just sitting parked for maybe one day when we get around to using them. Stupid really…we know we are never going to get around to it because we have enough to do already. We don’t want to build more and more websites. We have enough trouble keeping track of the ones we have, plus we created new ones after we were penalised by the Google animal updates. In other words we have a lot of stuff and it needed sorting out…we needed a spring clean. So we have been spending the past month or so doing just that. Our main task has been moving most of our old sites over to one hosting account. We had 4 hosting accounts and we really didn’t need four. One of those accounts was a reseller account so we decided to move as many sites as possible over to that account. We figured it will make it a whole lot easier to keep track of everything. So far we have moved 23 sites over. These are mostly our old sites (pre-Google updates) that we no longer really work on. We don’t want to get rid of them though as despite the Google penalties they still make us money. Just to give you an example, for the first two days in December we have made $338 on Amazon and $174 with CJ for those old sites. We have other affiliate accounts so we may have made a little more than that…I just haven’t checked. So while they are still making us money, we aren’t about to get rid of them. We just update plugins etc as needed and every now and then we will go in and freshen some up by adding content or changing the theme…but most of the time, we really do nothing to those sites. Then we have some new sites. We could probably classify these are Type A and Type B. Our Type A are sites that we created because we are just interested in the topic. For example, we started a gardening site because we are both into that at the moment and an ASMR site…if you don’t know what that is just Google it. So all of those are going over to our reseller account as well. Our Type B sites are ones we created to replace our old money making sites. These are our product sites although we are tending to move away from the product based sites and moving towards more generic type sites. And when we say ‘sites’ there aren’t a lot of them. We don’t want to go back to having 20 or so sites that we have to work on. These sites are going to stay on their own hosting account separate from the rest. We’ve been burned in the past from people finding out what our sites were. They would either copy them completely, or pick out reviews that we worked hard on and use them on their own site, or they would constantly check our site stats and tell us that our system didn’t work if we suddenly had a drop in traffic…blah, blah, blah! We still get those sorts of comments to this day. So those sites are hidden…WHOIS made private, different domain name account, different hosting account, different Amazon account etc etc. We’ve also moved the Affiliate Blog site over to the reseller account. In a previous post I wrote about how we moved the site to WPEngine hosting. We were happy with the move and would have liked to have stayed with them but it really wasn’t cost effective in the end. This site gets a lot of traffic and we would go over the allowable traffic usage each month. (Note that WPEngine also includes bot traffic in their calculation). This meant paying an extra $10 or $15 a month in fees. If we moved up to the next level it would have been $99. That wasn’t a problem but we would have only been able to add another site or maybe two before we’d reach the traffic limit again. So in the end, we decided to move Affiliate Blog over to our reseller account. There were also some sites that we trashed completely. They weren’t making any money and we knew we would never get around to working on them again. I think we trashed around 5 sites – I would have liked to have trashed more but like I said before, we aren’t going to toss away sites that are still providing us with an income. Then there were the domain names. We just had way too many and they needed to go. So for at least 10 of them we just let slide and no longer paid for the renewals. For about 30 other domains, we put them up on Godaddy Auctions to sell. They have already gone through a 7 day auction with no sales but the best thing about Godaddy domain auctions is that you can relist as many times as you like and it doesn’t cost a cent. So what we are going to do is just continue to relist them until they either sell or expire. None of them are terribly exciting so we don’t expect miracles here but if they sell then great! So all in all, it’s been worth the effort. We still have a number of websites to transfer over so we are focusing on that at the moment but once that is done, we are going to feel a whole lot better having everything organised. Hi ladies. Glad to see your still at it. I know you said you no longer show monthly earnings like you use to but may I ask, do you still do numbers like you use when you did show your earnings since all these Google updates. The only reason we showed the earnings above is that they are from our old sites and we aren’t worried about them anymore. But for our new sites, we are no longer going to reveal any earnings or even remotely state what we are earning for anything anymore. Just learnt from experience in the past. Let’s just say that we are both still working from home and we don’t need to work for anyone else to supplement our income. Good to see you guys back in action. I was checking back frequently to see if you guys were still at it. Noticed a couple of times that the blog was down and I wondered what happened to you guys. The hosting post explained it all. Are you guys planning on doing more info products in the future? I know recently you had a membership site that launched I think earlier this year and you also have your ebooks. Just wondering since your review sites may depend on search traffic and it just seems you can’t rest one bit if your income depends on Google. Especially with all their updates. You’re right about Google – you just don’t know what they have planned these days. However, the Google penalty on some of our sites was a good learning experience for us. It taught us to diversify. So although the Amazon sites still make us the most money we know that Google can do crazy things so we work on other things as well now. Yeah Google, never fails us to be surprised! I am working on something different but didn’t get result thou but not losing hopes, I have read this which look good to me but in last I am now thinking about the affiliate market than focusing on other source of income cos that is taking to much time and I can not afford to waste my more time. Working online is hard work and it can take time to make money. We still get questioned to this day by many asking how long it will take to make money online. The answer is always the same…it can take two days, two months, two years, or never. There are just so many variables to take into account that it’s impossible to say. I hope you can find something that works for you. According to your experience, what’s the reason by Google to penalize your site? I always read this site and it’s inspiring. I can imagine that your site always give good reviews, maybe. I think it was overuse of the same keywords when back linking. We did a lot of that in the early days…most people did really. It was the best way to get ranked. I’m glad you ladies are back (noticed you site was down for a couple of days). I know you will get back on your feet and be an inspiration to any one who has experienced the same issues with Google. Hope 2014 will be a great year for you 2! This is a great find. I haven’t checked my Amazon earnings yet so I guess I’ll have to check it later. Thanks for sharing these informative article. A great read indeed. Thanks a lot for sharing your experiences. I am just a starter and am working hard to trying to earn online. Your articles are a inspiration for me! Keep up the good work! Thanks Edward. If you have any questions please don’t hesitate to ask. I would be interested to know what linking strategy or other methods that you are using now. From a recent Matt Cutts post, guest blogging is the next thing for the chop. The thing is how would Google know what is a guest post and what isn’t? Obviously they will be able to pick up on obvious ones that have an author box at the bottom or some written text that states that it is a guest post. But if your link is stuck in the middle of a blog post with no reference to a guest author, how does Google know that it is a guest post or not a guest post? Yes, you are right it will be difficult for Google to figure out that this is a guest post. However I assume that guest post on a relevant blog will make sense. For example you run a automobile blog and you guest post (automobile related post) on a health website – now this does not make sense. Right ? Yes exactly. Relevancy is extremely important when back linking. We don’t have any info products in mind at the moment. If we do it generally goes on our membership site. We are diversifying however…selling on eBay and publishing Kindle books for example. I think we have to these days as Google is extremely volatile and we don’t want to have to solely rely on Google for our income. It’s great to see that you two are still doing your thing. I’ve seen a lot of people give up and go back to their day job, so it makes me feel good to know some of the best are still hard at work. If you ever need a writer, I’m available for hire! I hope that sometime in 2014 you can find the time to post more often! It’s lonely out here in the interwebs without your updates. I’m also curious if you’re still using guest posting to build links. I definitely don’t want to go back to a day job. My previous day job was great but I just don’t want to HAVE to get up every day to work for someone else. I like the freedom too much. I love working from home – it’s the best job ever. Whenever we backlink, we do guest posting, although currently we are working on a project so until that is complete we won’t be doing any backlnking. We always like to take extended breaks from back linking because it’s not our most favourite of tasks and after a while it can make life miserable and we want to enjoy life. Guest blogging is still the best method of back linking in my opinion. Regarding the your last sentence in the post right above mine…I’d be very careful with that methodology at present. It’s not quite what it used to be any longer and maybe it’s not the best advice to be handing out at this stage of the game. If you still want to guest blog for branding and exposure with no dofollow links, then great! But for merely backlinking purposes, an apparent solid NO! How does Google determine what is a guest post and what isn’? Perhaps they can scan the page to see whether the words ‘guest post’ or similar is included. Or maybe they can refer to an author bio. Yep, I can see how they would be able to figure that out. But what if you give someone a guest post for their site and there is no author bio or reference to a guest post anywhere, but your link is somewhere in that post? How will Google decide that it is a guest post? It’s just all about changing how you do guest blogging that’s all. yes, guest post is dead already. but which one will be better choice for ranking? I see the troubles you are having. I am the same with domain names. I buy them when the names are good and dream about the great websites I will create on them and forget them for a while. Now, I feel stick with one site and work on it whenever you have time. It really is easy to accumulate them to a point that you are paying a lot of money for hosting, domain renewal and privacy. 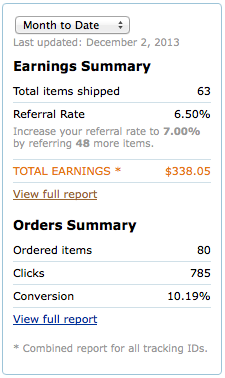 I am doing Amazon Affiliate marketing since last 3-5 month. Not getting more sales. Can you tell me How to get more strategy for getting my affiliate site on Google’s first page.? Take a look at our Amazon related posts on this site. They should help you. We check them manually. We go into Amazon and look for the broken links. Thanks for this i am very new to the internet and am trying to earn money online. it is good to read your articles which give me hope. If I am in full agreement with what you say, I find that it makes no sense and has a high cost generate one and another and another web site. Improve the content and the marketing of only one would be best.